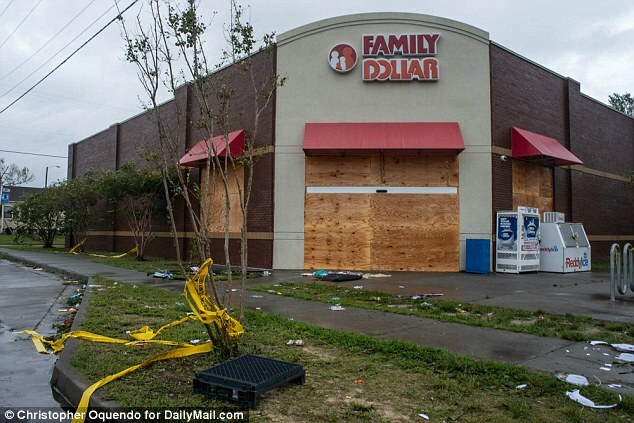 Looters have broken into a Family Dollar store in Wilmington as the city on North Carolina's coast has become cut off by floodwaters following Hurricane Florence. 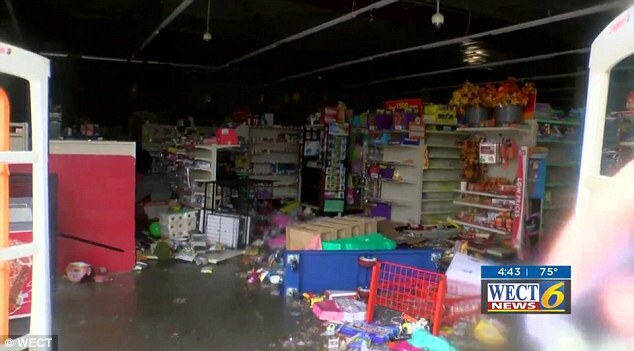 Police have arrested at least five people in connection with looting at the store on Greenfield Street on Saturday. They first issued a warning about the activity that afternoon after the store's management reported it, but asked police to stand down. 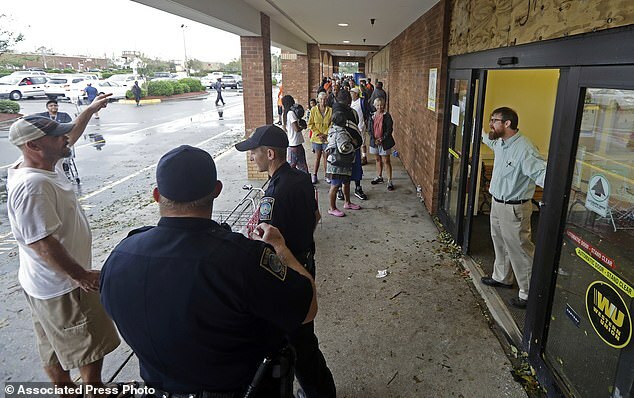 While there were no members of law enforcement on the scene due to management's request, police enacted a curfew for the area from 5pm Saturday to 6am Sunday. 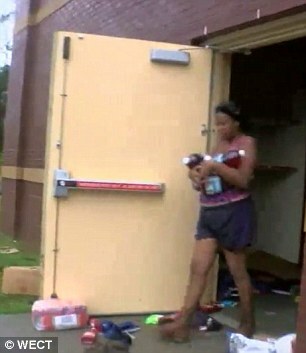 They also said many of the alleged looters could be identified in WECT's video. They encouraged locals to report anyone they recognized in the footage. 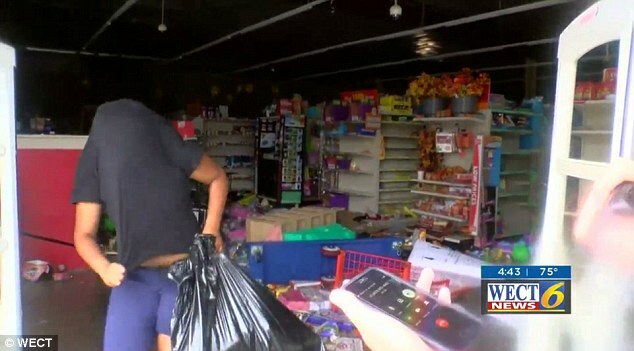 In her news coverage Donovan gestures into the store's front entrance as she says: 'You can see here inside just a complete mess, people taking duffel bags and trash bags, now noticing we're here [and] running away from the camera.' 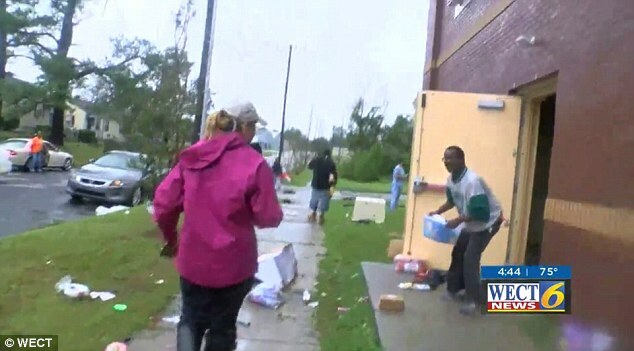 A police vehicle with its siren blaring then pulls up as Donovan runs to the back entrance where other looters were attempting to make their escape. 'Hey guys, you know you're looting, right? You know you're stealing?' she says confronting the people coming out of the back. 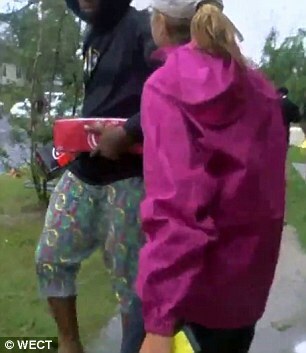 One man with a plastic storage bin full of items appears to shrug at Donovan's confrontation. Both journalists retreated to their vehicle soon after as they felt the situation had gotten out of hand. 'I was concerned the whole time. I won't lie, but I was there to get the story,' Donovan said. 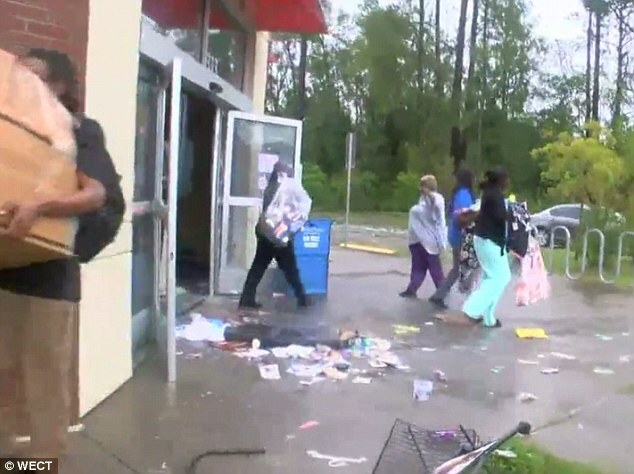 It is unclear why Family Dollar management asked police not to intervene at the store, but the Wilmington Police Department has indicated offenders will be prosecuted to the full extent of the law. 'We're going to do everything we can to protect your property. This is not a response to the video. 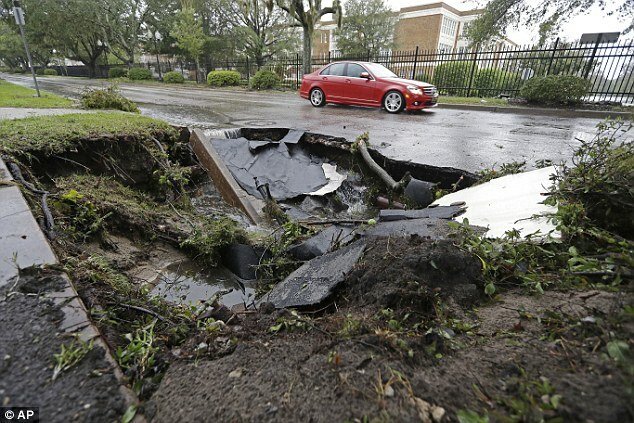 This has been our message [since] before the storm arrived,' the department said. 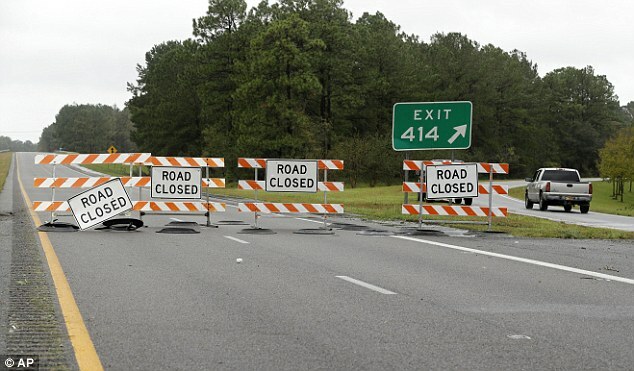 On Sunday officials announced that Wilmington had officially become inaccessible by road from the rest of the state due to rising floodwaters surrounding the coastal city. It's now almost an island. Restoring ground access to the area is now a top priority, but for the time being officials are making plans for how to reach the city by air. 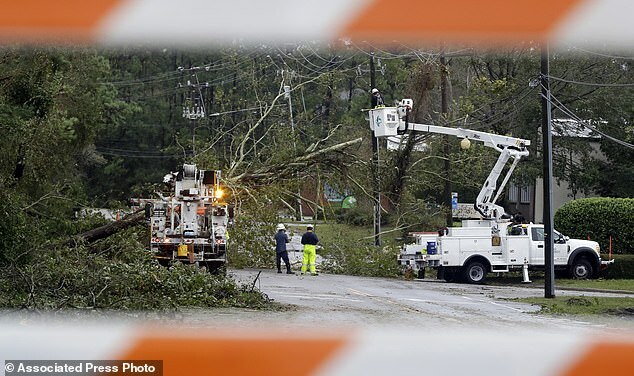 Large portions of Wilmington lost electricity over the weekend as thousands of residents were trapped in their homes due to downed trees and power lines in the wake of hurricane-turned-tropical-depression Florence, which has made its way inland. 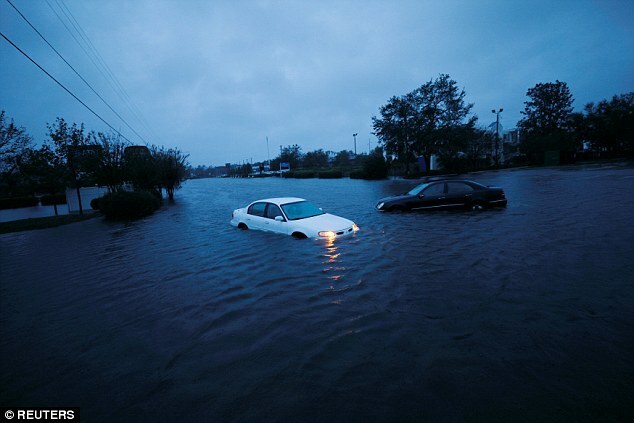 Rescue efforts in New Hanover County continued overnight Saturday and into Sunday as hundreds of residents were taken to shelters. 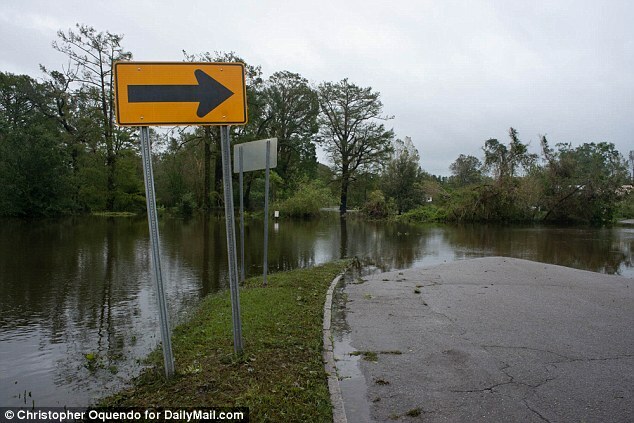 Local media reports that 'countless' homes have been damaged, but many homeowners who evacuated Wilmington ahead of the storm are now unable to get back to see how bad the situation actually is. While the city has been cut off from the outside, streets in Wilmington were busy with motorists on Sunday afternoon. Victor Merlos was overjoyed to find a store open for business since he had about 20 relatives staying at his apartment, which still has power. He spent more than $500 on cereal, eggs, soft drinks and other necessities, plus beer. 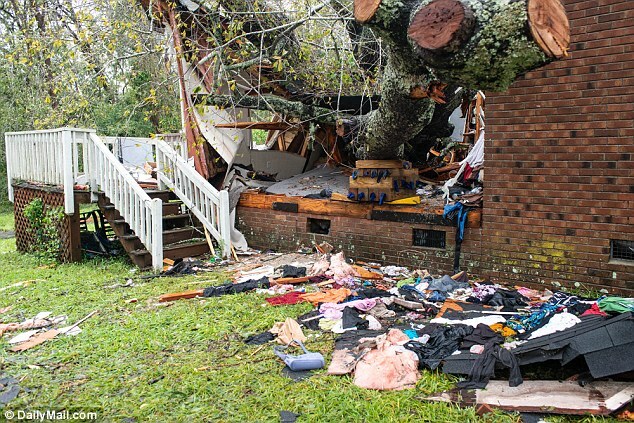 'I have everything I need for my whole family,' Merlos said. It's the hometown of basketball great and Charlotte Hornets owner Michael Jordan and is known for its historic homes and its annual Azalea Festival. 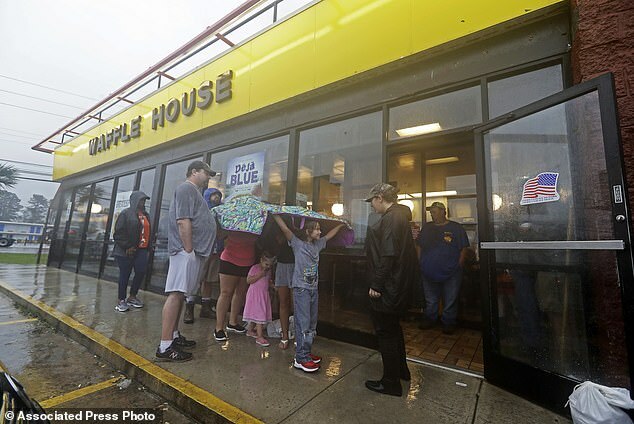 But as the rain continued to fall, its officials were asking North Carolina Gov Roy Cooper for additional law enforcement, including the National Guard, White said. 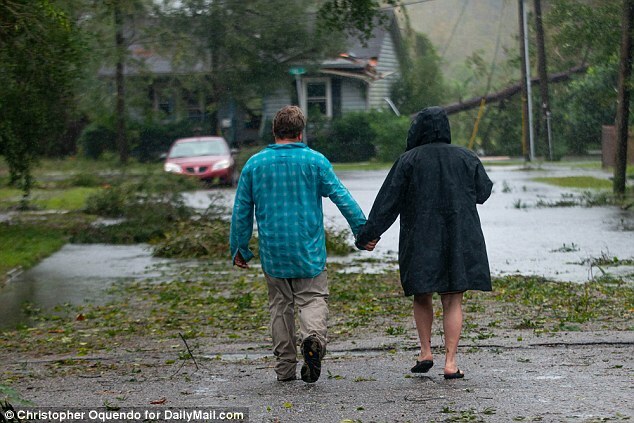 Some 465 people were rescued from cars and homes starting Saturday night and continuing until 9.30am Sunday he said. Patients on oxygen and dialysis were being moved from New Hanover County Medical Center to Hoggard High School, a new shelter scheduled to open to the public at 5pm Sunday. It has room for 1,387 people.